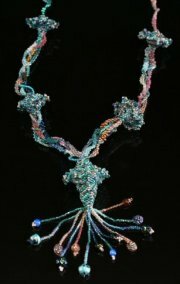 Description: Construct hollow beaded beads using tubular peyote. 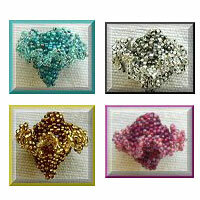 Increase and decrease to control the shape of the beads and add a ruffle. Make them in various sizes and combine into a necklace and earrings. Instructions with a full color photo of the project can be purchased for $10 in PDF format.